Vicki Lesage is an IT Director by day, writer by night. And a full-time nerd. She loves fondue, wine, math, and zombies. She lives in Paris with her French husband and rambunctious son. 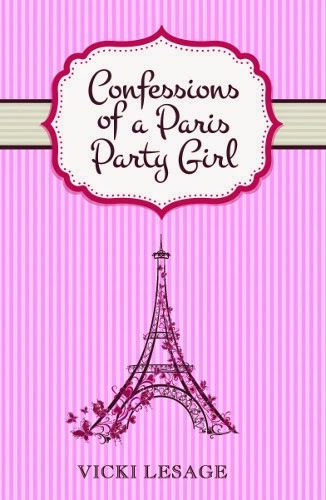 She published Confessions of a Paris Party Girl after numerous commenters on her blog encouraged her to write a book. Easy for them to say! She is now working on a sequel, Confessions of a Paris Potty Trainer, which is proving much easier to write. If you thought living in a tiny Parisian apartment was hard, try it with a baby! Cheese, hands down. It's why I moved to Paris in the first place! Becky Bloomwood. She means well but gets herself in all sorts of ridiculous situations that I can totally relate to. Wine. Unless beer or vodka comes in a box? Spa vacation. I'm a huge fan of running water. Water. Fewer spiders on the beach than in the mountains. Zombies all the way. There's a reason 1/4th of my website is devoted to my zombie obsession! Coffee. Multiple times throughout the day. Pre-baby I would have said dine out. Now? Even take away sounds like too much work. Can I choose delivery? Flip flops. I wear them until way past seasonally appropriate. Ebook. It's so awesome to finish a book on the morning Metro commute and start a new one in just a few taps. Gone are the days of lugging heavy books around! Paperback, except for my fondue and cookie dough cook books (yes, cookie DOUGH, not cookies). Pencil. The only time I even use one these days is when attempting the French crossword, so it's much safer with a pencil. Breaking Bad. Or at least, it's next in my queue, though I haven't watched any of those shows! Hunger Games. I devoured the trilogy in no time while only barely making it through the first Twilight book. Plot. It'll change as I go and it's only ever a loose outline to begin with but it makes me feel way more secure and ensures a better-paced story. 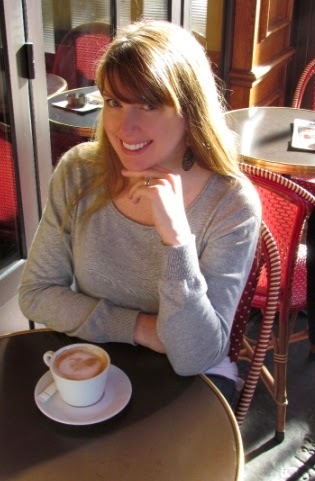 Wine, romance, and French bureaucracy - the ups and downs of an American's life in Paris. This laugh-out-loud memoir is almost too funny to be true! Drinking too much bubbly. Meeting sappy Frenchmen who have girlfriends or are creeps or both. Encountering problème after problème with French bureaucracy. When newly-single party girl Vicki moved to Paris, she was hoping to taste wine, stuff her face with croissants, and maybe fall in love. In her first book, this long-time blogger and semi-professional drinker recounts the ups and downs of her life in Paris. Full of sass, shamefully honest admissions, and situations that seem too absurd to be true, Vicki makes you feel as if you're stumbling along the cobblestones with her. Will she find love? Will she learn to consume reasonable amounts of alcohol? Will the French administration ever cut her a break? Funny how much you can learn about a person from answers to these types of questions. Vicki's sense of humor comes through in her book, too.